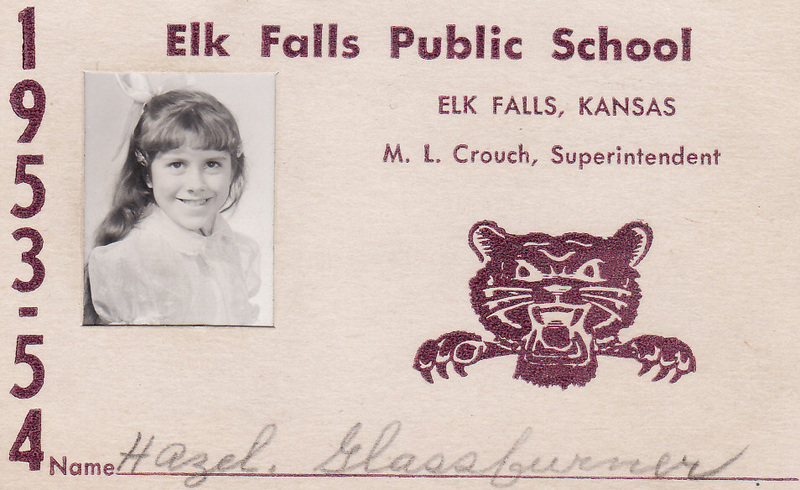 My Elk Falls, Kansas grade school student identification card. Today, I turned seventy. For me, entering a new decade has always meant a look back. As part of that look back, I couldn’t resist uploading the copy of my Elk Falls, Kansas, school ID card that I found in a box of papers when I moved to Emporia last year. What I remember most about those early years was my love of reading and movies and how I extended the stories I found in them by imagining new ones based on their characters. My reminiscences are always followed by a plan for the next decade. As a part of that look forward, I am modifying the direction of this blog. If you look at my subtitle, you will see that I have changed “writing journey” to “life’s journey.” I will be expanding my range of topics to include health, finances, and news of the day. While I will still cover some writing experiences here, I am working on a writing website, hazelhart.com, that will include a blog filled with writing tips to complement my new nonfiction Write to Fit series. The site is still under construction. I will let you know when it is ready for viewing. In the meantime, I hope you’ll come back to Seasoned Aspirer for a visit. This entry was posted in Uncategorized and tagged Elk Falls, Kansas, New Directions. Bookmark the permalink. Belated, but Happy Birthday! I have bookmarked both blogs for following.